Today, during the short period of the morning clear sky I visited the great Takizakura cherry tree in the adjacent Miharu Town. The tree was in full bloom. 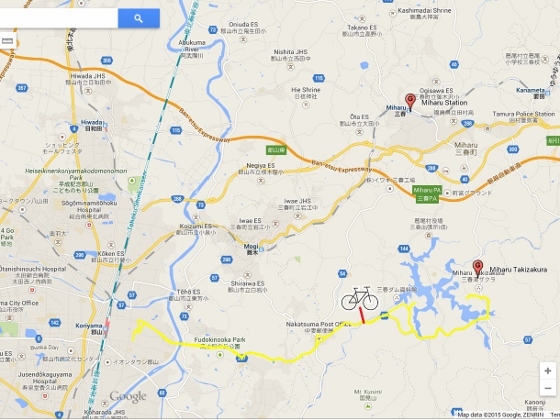 The bicycle rout is as shown below. If you are taking the public transportation then JR Miharu Station is the nearest one and you have a shuttle bus service to the site. 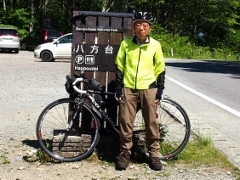 Above photos are today's views of Miharu Takizakura. 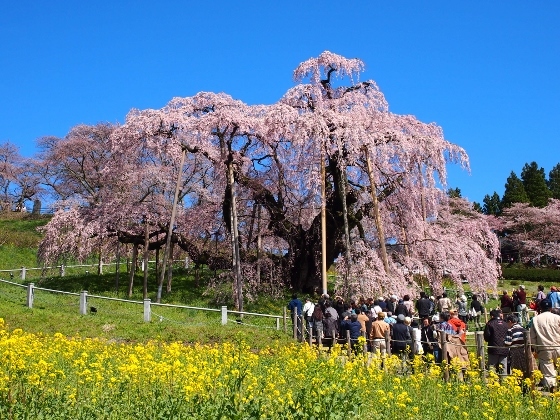 Takizakura is a giant cherry tree in Miharu Town. 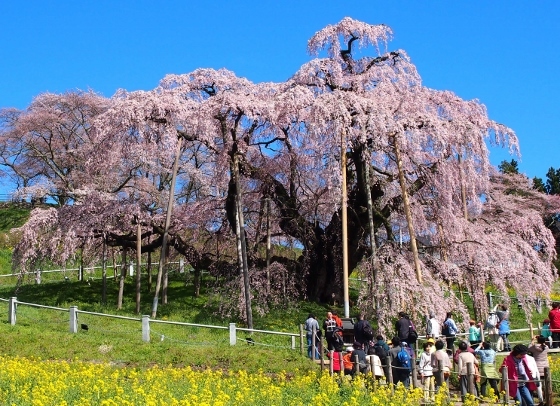 This is one of the three largest cherry trees in Japan, also designated as the National Natural Monument. 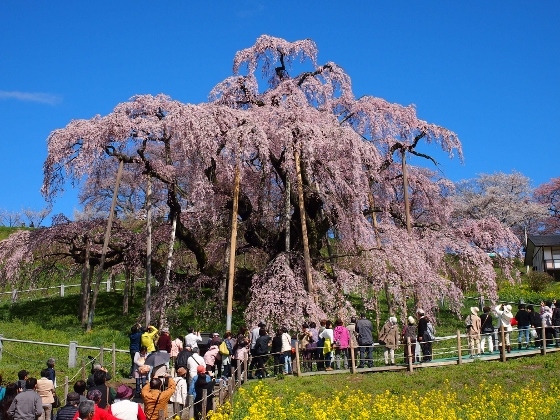 This is a kind of Edohigan type pink weeping cherry tree and is more than 1000 years old. Many offspring trees have grown around this area which extends not only within Miharu town but also across the adjacent Koriyama and Tamura Cities. The word Takizakura means that the flower in full bloom looks like water falls. The best time to see the full bloom is mid-April. One more, there is a specialty food called Miharu Gourmince which is a meat cutlet fried in bread crumbs. This is special that it includes plenty of green peppers. Miharu Town boasts second largest produce of green peppers. I always buy this tasty food every time I visit Miharu Takizakura.